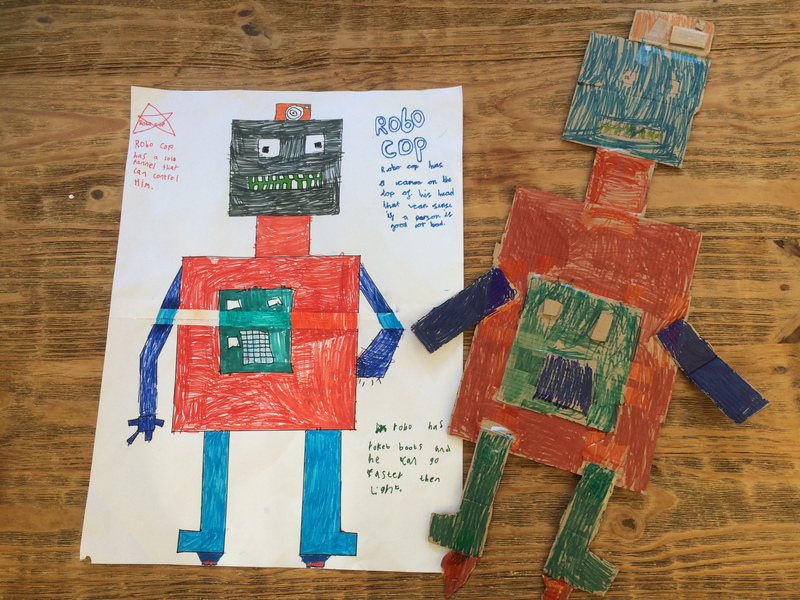 Yesterday my school, the William Penn Primary School in Coolham had a really exciting day sharing our ideas about how we could Change the World. This ‘World Changing IDEA Day’ was sponsored by the Billingshurst and District Lions Club and presented by 7 Billion Ideas Education. All the children except the reception class spent the day thinking of fabulous inventions that would really change the world. All the ideas were judged, the best got through to a quarter final, these ideas where then presented by the children with the best going through to the final. 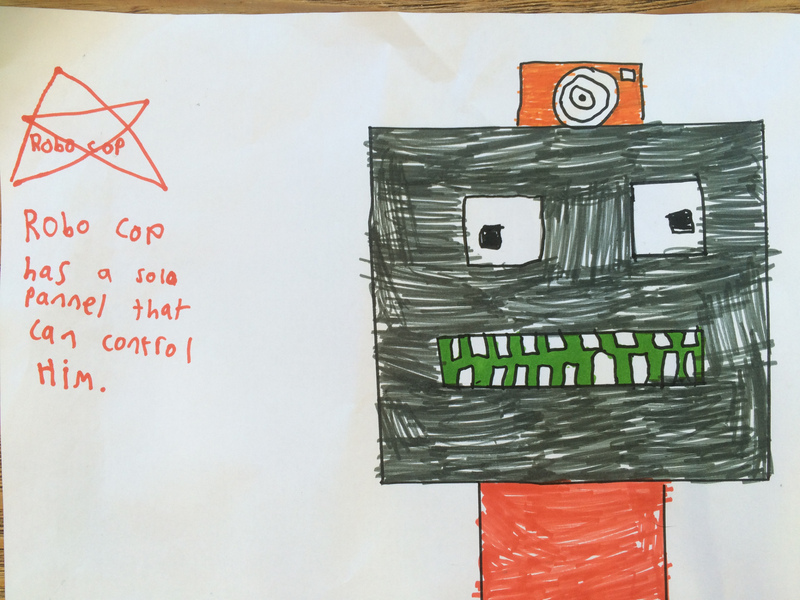 I worked with my friends Alexa, Will and Jessica, we came up with the idea of a Robo Cop. 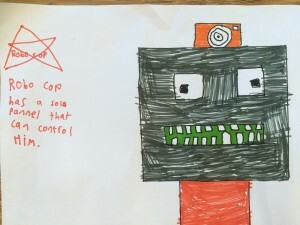 The Robo Cop has a solar panel in his tummy to capture sunlight to power him and his remote control, a camera on his head so he can see any bad guys and special jet boots that can send him faster than the speed of light. He can transform into a search and rescue helicopter, a racing car, a submarine and a space ship. 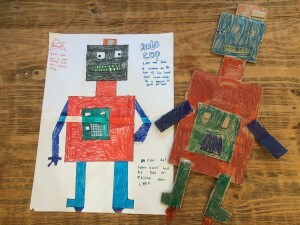 He is a very advanced robot! We got through to the final. The winning team came up with the idea of putting a roof farm on the top of blocks of flats. The unique roof top would help capture H20 to water the plants and provide water for the flats, a growing space and homes of a wide range of insects. Next month the winners from each school will present their idea at the #thinkBIG2016 final to be held at The Weald School in Billingshurst in October. 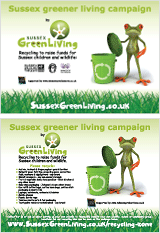 This entry was posted in Climate change, Eco School Sussex blogs, Eco School William Penn. Bookmark the permalink.